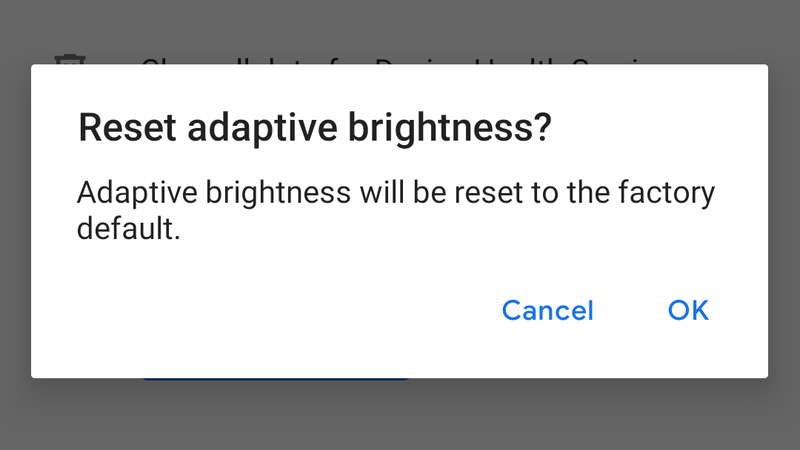 Android 9 Pie's Adaptive Brightness feature uses machine learning to optimize your display brightness based on past adjustments - which is great, as long as your circumstances don't drastically change in the near future. However, if you've moved recently, or changed jobs, or done something else that changed your brightness preferences and made those settings obsolete, you might be looking for an easy way to retrain the Adaptive Brightness model without clearing all your battery data. Thankfully, now there is one. 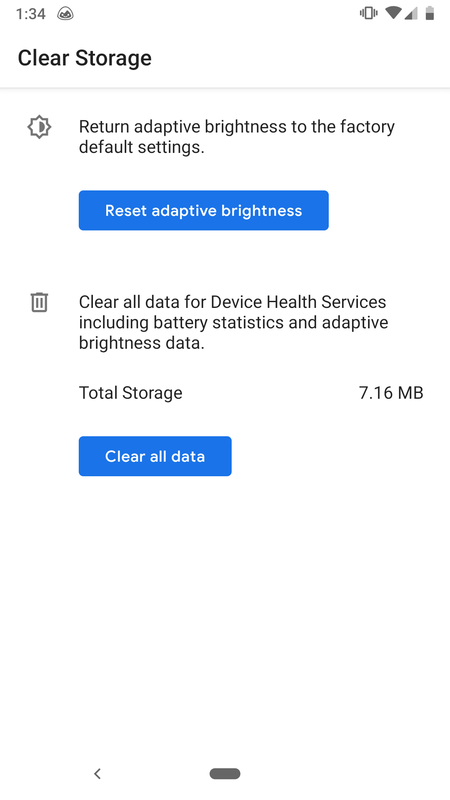 With version 1.6 of Device Health Services, rolling out now, users have the option to reset Adaptive Brightness to factory default settings without clearing all storage, which includes things like battery statistics. It's a small change, but one that reduces a lot of hassle. 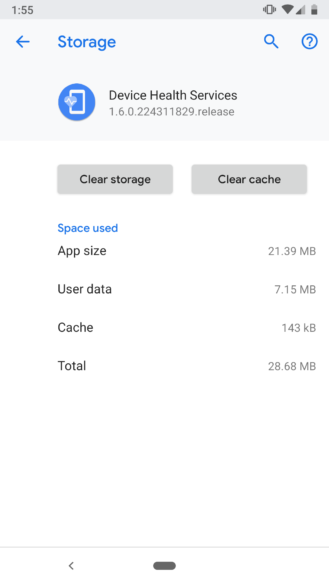 To get to this option on a Pixel, travel to Settings > Apps & notifications > Device Health Services > Storage and then click "Clear storage." In addition to the previous "Clear all data" button, there is now a button for resetting Adaptive Brightness. Note, however, that Adaptive Brightness and Device Health Services are not available on all Android handsets yet, though Google says it's working on bringing the feature to more manufacturers. Other improvements to Digital Health Services include bug fixes and a few other behind-the-scenes infrastructure improvements. If you aren't able to nab the update via the Google Play Store, you can always sideload it via APK Mirror.